I am sitting on a coach at the moment, being chauffeured down to Brighton for the International Association of Teachers of English as a Foreign Language (IATEFL) Conference, which is due to start tomorrow with the Special Interest Group (SIG) Pre-Conference Events (PCEs) – if there is one thing that our profession isn’t short of, it is acronyms. I shall be attending the PCE organized by the Teacher Training and Education Special Interest Group (TTEDSIG). To my shame and embarrassment, i cannot recall what precisely it is that I signed up for, but it must have seemed a good idea at the time. 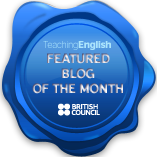 Considering I work in teacher education, and that this blog is all about the same, I am sure that I shall have something interesting to report on it. On the way down, I noticed the following signs. Being under normal circumstances a rather liberal language maven, I amused myself by putting on my prescriptive pedant hat for a while to pass the time. The semantician in me couldn’t let this pass; in what sense can an AIRPORT be appropriately described as a “low emission zone”? Answers on a postcard, please, to this confused blogger. Perhaps I was simply being obtuse, but I failed to see the wisdom of installing a valve to enable an authority to increase or decease the level of pollution – but if it were actually to work, how great would that be? Simply solve the environmental crisis by turning off the tap. And that’s when it hit me. I had just jetted across from Germany and was now taking the coach, thus avoiding taking the more environmentally friendly train not once, but twice. You would be correct, Dear Reader, in thinking that the blogger doth protest too much, methinks as I took issue with these two signs in particular. Recently, a fellow blogger raised the thorny question of whether it is ethical to attend a conference in a country whose regime does not respect human rights – you can read the post here. It was thought-provoking, but for me nothing more than a thought-experiment, as I don’t generally find myself going to conferences in such countries. However, what I do find myself doing – with increasing frequency these days – is hopping on a plane to jet off to some conference or event. I’ll have taken at least three short-haul flights (all for professional purposes) by the time this year is out, and even this modest number concerns me. You see, if I so chose, I could invest more time, and a bit more money, in traveling in a more sustainable manner. I could have taken the Eurostar for this conference; I could take the train to more or less all of my destinations. But I chose to fly, simply because it is faster and more convenient. In a very real and serious way the choices we make about how we engage with the other members of our profession have impacts on the world. It is not, by any stretch of the imagination, a materials-light approach to hop on a plane to attend a conference – quite the opposite. Teaching unplugged saves trees – but what about flying to conferences? This is more than a facetious parallel I am drawing with Dogme here. Dogme can legitimately be positioned within environmental movements, in that it espouses a minimal impact approach through its eschewing of pre-fabricated materials (or single-function materials of any kind – to twist a term from Ken Robinson’s daughter). Apart from the pedagogic advantages of teaching materials-light, we save the planet one lesson at a time by not deforesting for the paper to make the coursebooks or photocopies that others use – and thus we contribute to saving the planet and can feel virtuous. Follow this logic a little further and it perhaps isn’t all that unreasonable to ask whether teachers who ascribe to an unplugged approach should be undoing the positive impact that their classroom choices may make over a a year by booking one avoidable flight. There will be somewhere between 1500-2000 delegates at the IATEFL conference in Brighton this year (and the numbers at TESOL are about ten times this number) and I suspect that the vast majority of them arrived by plane or road, or a combination of the two – just like me. I wonder what the carbon footprint of the IATEFL conference is, and whether there is anything that we can do to reduce it. Simply paying carbon-offset isn’t good enough – it’s like paying someone to breed a dog so that you can feel comfortable continuing to run other dogs over on the street whenever you feel like it. So the question I have for you all is this: how can we as a community take more personal responsibility for our professional activity? Yes, thanks, Anthony, a timely reminder. I’m trying to fly less myself these days – more out of frustration than eco-friendliness, I have to admit: after a year of aborted or delayed flights due to ash clouds, air traffic controllers’ strikes, and snow – I’ve just about had enough. Then I was invited to a conference in Ukraine. I said no, and when they insisted, I said no again, but suggested a live video hook-up via Skype, instead. They agreed, and so I moderated an hour’s Q&A (about Dogme as it happens) with maybe 100 plus teachers in Ukraine from my office in Barcelona – which (according to one of the attendees who I happened to run into in New Orleans last month) was judged a great success. Now, do the math. What did that save in terms of flights, accommodation, meals, fees, etc – not to mention the carbon footprint? Is this the way ahead, going forward? Thank you for responding so swiftly and for sharing how your approach to your work has changed, Scott. I think that the inconveniences that you mention are likely to increase rather than decrease, and costs may make it prohibitive for many people as well as time goes on. As you also note, face to face conferences are massive investments of financial resources, which begs the question: do we want to base our main channel for bringing people together in a community of practice on a model that is going increasingly to squeeze out those who lack the financial means? This connects, incidentally, with a discussion on the TDSIG forum at IATEFL Online. The more general question of whether F2F conferences have added value over virtual development opportunities online. Now, I think that traditional conferences have a huge amount to offer in terms of immediacy and warmth and spontaneity, so I certainly want them to remain around – for example, the upcoming Unplugged Conference in Barcelona (which you won’t have to fly for 😉 ) So, if – as you suggest – distance or blended options can be satisfying, then how can we make F2F conferences really worth the cost (in all senses) of the flight? Those two reasons (economic and environmental) are why it’s so important for conferences to make as much stuff as possible available to people who aren’t there as well a putting up as much stuff for later viewing as possible. Personally I judge these events by how welcome I feel from where I’m sitting right now (Dublin) and last year’s Harrogate online really opened my eyes to how good it could be. Having said that I am very excited to think I will be seeing ‘all those people’ in the flesh over the next two days in Brighton. 131.61 Kg of CO2 for the flights alone. I suddenly feel that I have to admit to flying down from Manchester, which in many ways is a complete disgrace. Having said that, the train fare would not have been much cheaper, if at all, and the plane is a lot quicker – that’s my reasoning. I did pay the carbon offsetting charge, or whatever it is, but that’s not really good enough, is it?! Shame on me. Oh well, too late now, I’m flying in 14 hours. This is my first flight of the year though and I’ll probably only do another one, or maybe two, depends how much money I’ve got for a holiday. I followed the conference online last year, but as much as it’s a fantastic option, I am looking forward to being there in person. To be honest, I think most of us would rather not be inconvenienced by learning the truth. Regarding the other issues raised here, it’s nice to read that many, including the eminent Mr. Thornbury, are now considering environmental issues and alternatives to traditional events. Thanks again for this stimulating post. Thank you for correcting my reading of your post, Adam – and sorry for the misrepresentation! I Definitely agree with your position – tempting though it is to see our professional activities as being discrete to us, we in fact have a duty to our wider community implicit in those choices. Glad to have found your blog and will definitely be making return visits. Thank you for this link, Adam! Well, Anthony, all I can say is as soon as someone mentions Human rights issues… I’m in for the kill! Climate Change is undoubtedly a major human rights issue. One of the gravest we face. Well done for being so engaged. We all have to simply do more on this. I regularly donate to organizations fighting climate change because I believe this is where we can get most bang for our buck. That is, campaigning against governments/corporations (same thing, really) is vital if we’re going to do anything to help this crisis. I mean, we can cut down on our personal carbon footprint, but that is nothing compared to what the fuel companies etc are doing. Systemic change is the only way out. Regarding cultural boycotts of Israel. Well, I was volunteering for three months last year in the West Bank, so I’ve seen first hand what’s going on, but I have to say I’m with Noam Chomsky on this. If you want to boycott anybody, start at home. I’m British and I know MY government is one of the main supporters of the Israeli regime and so why shouldn’t I boycott the conferences in Britain first and foremost? When looked at in this light, we start to be hypocrites. And universities and educational institutes are, generally speaking, the last places we should be boycotting. That’s where a lot of discourse can and does happen. Trying to hold terrible governments accountable is one thing, holding an entire population accountable (where many of them may actually be on your side if you bother to have dialogues with them) is quite another. On the darker side, it can be seen in that in 2009 ICTs were responsible for 2% of the world’s total CO2 emissions (as much as aviation) and growing at 10% a year! However, even there he does give a point of hope that google was actually contemplating , which would be a considerable move in the right direction. Basically the question is how much impact individual action (renounce IATEFL, ISTEK oh no) would have.